Here is the first look at the new apartment development in Bathurst Street, Sydney. 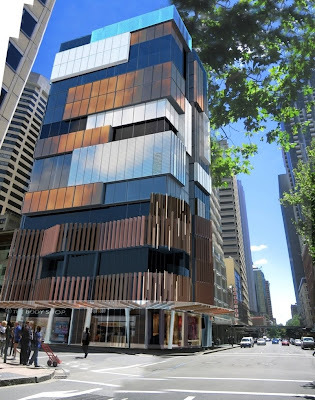 This project occupies a prominent gateway location in the retail centre of Sydney. 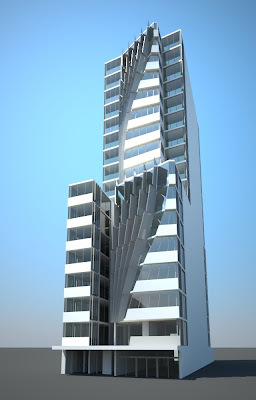 The building expresses the vitality and variety of its context in an exciting mixed use solution. It has a rich palette of laser cut screens, fitted glass and glass louvres. 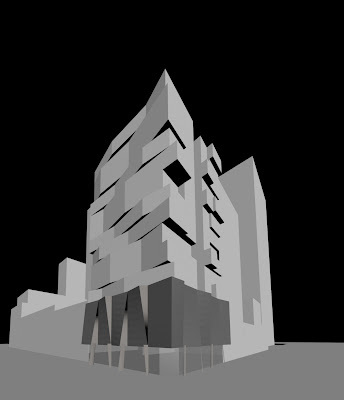 The facade explores new models of solidity and layering in the CBD to create a building that lives up to its location. Here are some of the options that were explored. 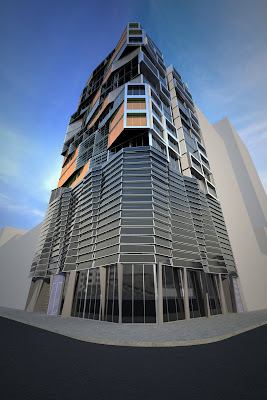 Here is the first look at the new Silk Apartments in Pitt Street, Sydney. This DA for 70 units has been lodged with council. 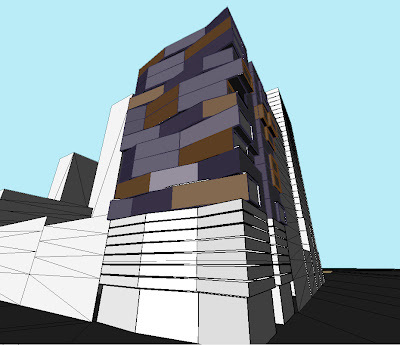 The unique design is a response to the solar conditions on the site. 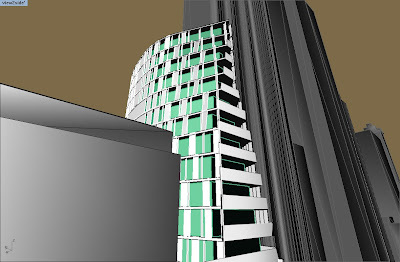 The shape of the building has been generated to maximise solar exposure to the surrounding buildings as well as to the units themselves. 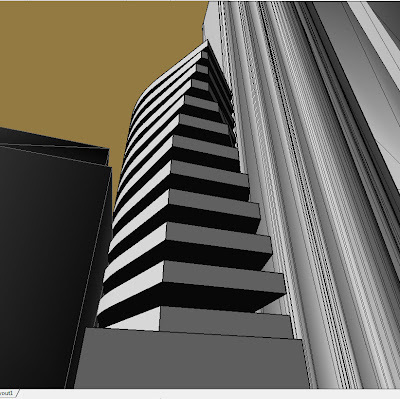 The buildig tapers towards the top to allow greater sun light and air to the ground. 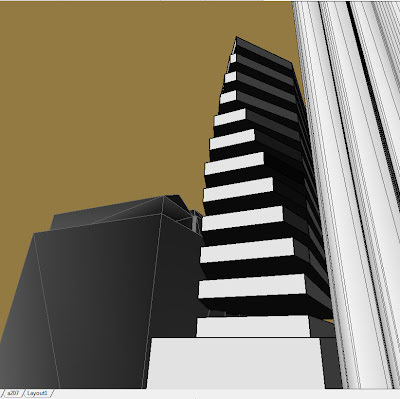 The shape is a result of exhaustive studies tracking shadow and solar conditions in the 3-D city model. As a result theunits willl enjoy maxmum amenity and the sinuous shape is an expression of this optimum condition.